Q. How do I know it is safe to book on this site? Our site is secured using HTTPS, and all our payments are handled by payment processor Stripe. We are a company registered in England and Wales (company number is at the bottom of the page). Q. Do I have to pay for the food? No, all food that is included in the tour is included in the price you pay. As is unlimited bottled water. Q. Are all your guides chefs? Our name stems from our original guide in Bangkok who was a Thai chef for many years. We've found that although chefs know about their cuisine, they don't always make great guides if they don't have a guide license. Most of our guides are passionate foodies with an intimate knowledge of their native cuisine. Q. Are all your tours in English? All our tours are currently run in English worldwide, although of course our guides speak the local language (and will be happy to teach you a bit of the basics if you wish). For whole group tour bookings in other languages we are happy to try and find a local translator if essential. Please book your tour as early as possible in this instance to give us time to make arrangements. Please contact us at info@achefstour.com to confirm. Q. Are there minimum guest numbers on your tours? Depending on the tour, our minimum group numbers are either 2 or 4. In the unlikely event that the tour doesn't reach the required guest numbers, we will be in contact to either change your booking to another day or offer a full refund, whichever suits you best. If you would like to find our the number of guests on a particular departure, please contact us at info@achefstour.com. Q. Are your tours groups big? Q. Can I book a private tour? You are welcome to book a private tour with our guide. Please contact us at info@achefstour.com for more details and a quote. Q. I have a disability, will your tours be suitable? In most cases, our tours can cater to those with physical disabilities. Our guides will do everything to ensure full access to each food spot. However, before booking, please contact us at info@achefstour.com to confirm. Q. I've got kids! Can they join in the fun? Our tours welcome families and children of all ages. Children above 12 pay full price. For children under 12, please contact us at info@achefstour.com for a discount voucher and to discuss their personal dietary requirements. Q. What are the travel logistics on your tours? 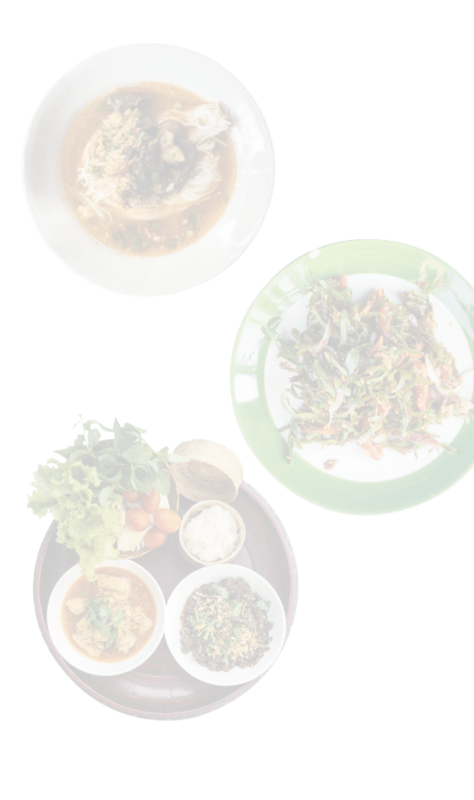 All our tours are either district based walking tours or combine walking and public transport (tuktuk, taxi, bus, scooter, metro etc) depending on how far you need to travel for the most delicious meals. None of the tours will be too physically demanding as we want you to relax and enjoy yourselves as you eat your way around town. If you have any concerns about how strenuous a tour may be, please contact us at info@achefstour.com. Q. I've booked. Where does my tour start from? To ensure that guests have the maximum time eating and exploring we include an easy-to-find meeting point for each tour (instead of spending time picking up each guest from hotels around the city which can take up valuable time). The meeting point is shown on your ticket and directions will be written in the local language to show a taxi driver. Your guide will be waiting at the meeting point holding a sign and wearing A Chef's Tour t-shirt. Should you have any trouble finding the meeting point, please contact your guide on the details provided on the ticket (telephone, WhatsApp, email). Q. Can I bring my kids on my tour? Yes, we have lots of tours that allow children! The minimum age and child policy will be included in the tour description, and children under six are typically free of charge. However, if you require a stroller, please check that the tour is also listed as accessible. Q. What happens if its raining? Q. I am allergic to some ingredients, can I still join a tour? Our tours typically cover a wide variety of food and we can cater to most dietary requirements. If you have any allergies, whether serious or not, please contact us prior to making a booking on info@achefstour.com. We don't like to disappoint, but safety of our customers is, of course, our first priority, so we will talk through with our guide to ensure that we can safely operate the food tour for you. The nature of street food means that we cannot 100% guarantee that traces of anything won't be found in dishes. You may also be asked to sign a waiver and we would ask that you bring any medication you might need such as an epipen. Q. After booking my tour, do I need to confirm? Your guides contact information will be on your ticket should you need it, but otherwise no re-confirmation is necessary and all you need to do is be at the meeting point at the correct time to begin the tour. Q. Should I bring my ticket? Please print off your ticket or download it to your phone and bring it with you. Don't worry, should this be forgotten, you won't be penalized, although our guide will need to contact head office to confirm. Q. What will I receive after I have booked? After booking, you will receive your ticket by email. This will include the date of departure, meeting point details and your guides contact details amongst other information. In the upcoming days before departure, you will also receive several reminders about your trip. For any details, we're always available at info@achefstour.com. Q. I'm going to be late for the departure time. What should I do? Q. Can I change the date of my booking? Should you have any problems or amendments to make prior to your tour please email us at info@achefstour.com and we will be happy to help make these changes for you, provided that the new date is available. Date changes cannot be made within 48 hours of departure. Q. I can't make my trip, can I cancel my booking? We can offer a full refund for any cancellations made outside of 48 hours prior to your tour departure. Unfortunately, due to logistics and transport having been arranged, no refunds can be offered for cancellations made within 48 hours of departure. Q. I need to cancel my tour! We're sorry to hear that. Should you wish to cancel your booking you will need to email us at info@achefstour.com. We will then initiate a full refund (outside of 48 hours before departure). Should you wish to cancel within 48 hours of the tours departure you will not be refunded for your booking as per our terms and conditions. Q. What do I do when I have a problem during the tour? If you have a problem during the tour, in the first instance please talk directly to your guide. They are trained as tourist guides and will most likely be able to solve the problem allowing you to enjoy the rest of your tour. However, if the problem persists and your have a complaint to make afterwards, please contact us at info@achefstour.com and we will look into it for you right away. Q. I've got photos, how can I share them with you? First off, we're thrilled that you'd like to share your photos with us. Please send them to info@achefstour.com and we'll happily upload them to the website or share them on social media. Please feel free to upload them to Facebook, Twitter, Pinterest and Instagram and tag @achefstour. Once the tour has finished, we will follow up to check whether the tour met your expectations. We endeavor to ensure that every guest has an amazing time. If you have any feedback, good or bad, we'd love to hear from you as it helps us to improve the customer experience. Either reply to the feedback email or send your comments to info@achefstour.com. In the unlikely event you are having problems with the website, contact us at info@achefstour.com and we'll look into it right away. We can make, cancel or amend bookings for you directly. If you have already booked a tour please mark the email as “urgent” so that nothing stops us making the necessary arrangements in time. Q. How to I stay updated from A Chef's Tour? Great stuff! Over the coming months, we're going to be opening many more food tours around the world and we'd love to let you know. Send us an email to info@achefstour.com to sign up to our newsletter, and/or follow us on Twitter, Facebook, Pinterest and Instagram.